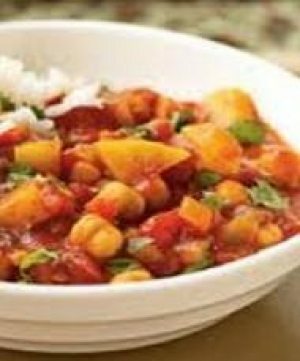 A wonderful stew for the cold weather months. This recipe also comes with vegetarian options! In a large sauce pan brown chicken in olive oil over medium heat until browned. 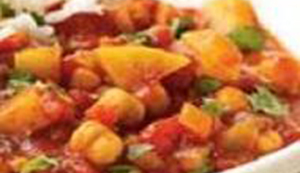 In a slow cooker, add all ingredients and cook on high for about 3 to 4 hours OR on low for up to 8 hours. Serve over cooked brown rice or quinoa. Garnish with a chopped cilantro. Vegetarian Version: Omit chicken. Place all remaining ingredients in slow cooker along with 1/2 cup green lentils along with vegetable broth.